Testimonials are typically a time to look back and wistfully reminisce. So after it was announced Everton would be hosting a belated one for former striker Duncan Ferguson against Villarreal, it was no surprise to see a poll running on the club’s official website recollecting some of the current first team coach’s best moments in a blue shirt. They included vital goals and rousing performances, as you would expect. 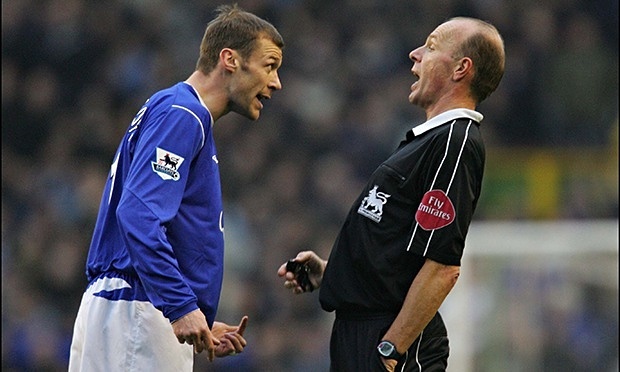 But in addition, the time he grasped Leicester City’s Steffen Freund around the neck, when he punched Paul Scharner and a confrontation with ex-Liverpool defender Sami Hyypia, were all down as options. From afar, this may seem peculiar, but for Evertonians it’s no surprise; Ferguson was a divisive figure amongst the football firmament, but not at Goodison Park. For all the aforementioned unsavory incidents, the barrel-chested Scot is as positively etched in this generation of Toffees’ memories as the Everton crest tattooed on Ferguson’s upper left arm. “Big Dunc” came to the club with a degree of infamy already attached in 1994. 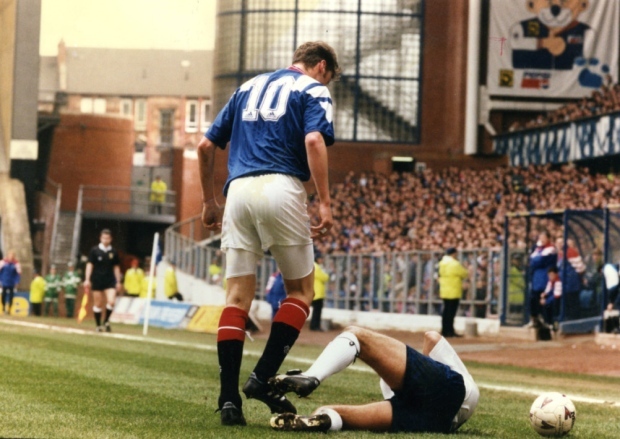 Rangers, who had paid a British record fee to land the powerhouse forward from Dundee United, let the Stirling-born striker head on loan to Everton after Ferguson had head-butted Raith Rovers’ John McStay. It was an incident which the Scot would eventually serve a three-month prison sentence for after later making his move to Merseyside permanent. The aforementioned earlier incidents also blotted his Toffees career, which was interspersed with an ill-fated two-year spell at Newcastle United. As did injuries, with Ferguson spending plenty of time in the treatment room throughout his playing career—“in for a week, out for a month” the Liverpool supporters used to sing about the Everton talisman. So, it begs the question, why is he such a deistic figure for those of a blue persuasion? After all, according to Toffeeweb, the striker only scored 72 Everton goals in 272 appearances, 81 which came from the bench. He also picked up a whopping eight Premier League red cards, currently the joint-most in the division’s history, per statbunker.com. Yet, there are few Everton supporters in any walk of life with a bad word to say about their former No. 9. Good luck to your Toffees not sure what to expect. Not sure they have addressed their needs.